The church bells are ringing and the children are singing. You know it’s time for a wedding! Gather up something old, something new, something borrowed and something blue and get ready for a magical day. However, if a lack of funds is casting a shadow over your happy day, think again and apply for small wedding loans. Using our quick application form, you can apply for wedding loans in the morning and pay the caterer by the next day. That’s Nifty! Before we walk down the aisle, let’s introduce ourselves. We are Nifty Loans and we are an online alternative lending company that is dedicated to giving every Australian a fair go at easy finance. We offer easy loans to Australian lovebirds who need a financial pick-me-up. If the electricity bill has landed right when your expenses list is hitting the floor, that’s where Nifty Loans can help! Our loans are just the thing for any occasion, and there’s nothing more celebratory than a wedding! Love is the one priceless commodity we have, something that money can’t buy, however, sometimes money can leave you inches away from your dream wedding. Well, never fear, we are ready to bridge that gap. When you’re in need of a boost in your wedding fund to help create your dream wedding, that’s when it’s time for wedding loans Australia! They can help add that touch of sparkle to your special day. You can apply for small loans starting at $300 to $2,000 or opt for a medium secured loan from $2,100 to $5,000. If you wish to borrow more than $2,000, we require equity as security, such as a car, boat, motorbike or caravan. Those of you in the midst of planning your wedding will be perplexed by this question. This is because the answer is obvious. Weddings are bloody expensive. So, needing a boost to your wedding fund shouldn’t be framed as a question. When you’re busy planning the best day of your life, you can lose track of the costs, and fail to notice them pile up. That’s Nifty! Easy, fast, efficient, and all synonyms you can think of! We want to provide all Australians with accessible finance the Nifty way. Especially for your special day! And the list could go on! The sky’s the limit with Nifty Loans. Any expense you need to cover for your wedding,personal loans can help. That’s Nifty! That’s it! Just four little requirements and you’re eligible to apply. However, before you apply, make sure to check off all these requirements. Now, you’re ready to apply for quick cash loans! Having these details on hand and ready to go will certainly speed up your application. However, you may be wondering why we require your bank account details. The rise of internet scams has taught us to be wary of sharing our bank details online, but you can always trust us! We use the latest in safe banking technology to access read-only copies of your bank statements and expenses. And bonus: it means our process is 100% paperwork-free! With nuptials just around the corner, you’ll want the process to be fast and simple. Well, lucky you found us. Simply follow these four steps and you’ll be on your way down the aisle in no time! Simple and fast. Those are two words that perfectly encompass Nifty Loans. Our application is designed to give you a hassle-free loan experience. Now, think of the things you do in four minutes: make a cup of tea, meditate, watch a youtube video, or send an email. These seem like pretty menial tasks, right? Would you believe a loan application could take just a few minutes? Well, you better believe it! To begin our speedy application, start with our loan calculator located at the top of each web page. Firstly, select how much you wish to borrow and for how long. Then, select how frequently you wish to make repayments; either weekly, fortnightly or monthly. Once, you’re happy with the loan terms, click the Apply button and you’ll be taken to our quick application. Once you have submitted your quick cash loans application, all you have to do next is wait! If you qualify for a personal loan, we will notify you straight away. So, while you’re off tending to your virtual farm, keep an eye on your texts and emails for important info. Just give us 60-minutes (in normal business hours). Our team of loan specialists do their best to assess your application and return with an outcome. They will assess whether you are suitable for fast personal loans. We do adhere to responsible lending practices when assessing your loan application, meaning we won’t approve any applicant who cannot afford their repayments. If you hear the good news (that you’re approved! ), then all that’s left to do is sign the loan contract and you’re ready to go! After we have your signature, we will begin transferring your funds directly to your account. Times may vary depending on the banks. However, you could have your moolah delivered to you before the day’s out, at the very latest overnight. And that’s it! Easy. Just four little steps to your wedding finance. You’ve probably already noticed that we think our process is pretty easy. So, we’re sure it comes as no great surprise to discover that we have also designed easy repayments. We know the stress of planning your wedding day is immense, and the last thing you want niggling into your time is loan repayments. That’s why all our repayments are automatic! We direct debit your nominated bank account either weekly, fortnightly or monthly with the repayment amount. And that’s it. No need to set reminders only to forget to make the payment. It’s easy, fast and hassle-free. That’s Nifty. You may be reading this and thinking, “I have bad credit, I won’t be approved.” Well, don’t worry, fate has delivered you into our hands. Nifty Loans offers wedding loans for bad credit! Furthermore, Nifty Loans understands that bad credit isn’t the most reliable indicator of your current financial position. We do perform credit checks as part of our responsible lending practices. However, don’t let that deter you from applying. Nifty Loans forgives past financial mishaps if we believe you can afford the repayments. By adhering to responsible lending practices, we don’t approve any clients if they cannot afford to repay their loan balance. Receiving Centrelink payments and need finance? If you’re receiving Centrelink payments, you may have been previously knocked back when applying for credit. Well, at Nifty Loans it’s a different story. We stand for something, and that something is giving every Australian a fair go. When you apply for wedding finance with us, we look at the whole picture, not just specific details. In most cases, we classify Centrelink payments as a regular income if you’ve been receiving them for at least 3 months. That’s it, no catch, no extra fees! How he Asked: If you need proposal ideas, here’s where to find them. BHLDN Wedding Hairstyles: Learn how to stand out from the traditional wedding hair looks. If you’re struggling with our application form, don’t hesitate to contact our loan specialists. You can either send us a quick message with your date of birth and email address so we can look up your account or give us a call on 1300 471 328. Of course, our loan specialists need their beauty sleep. So, if you apply outside of business hours expect a response within 2 hours of the next business day. You can also find our opening hours on our contact us page. We want to be apart of creating a beautiful wedding day for you and your partner. If you’re in a bind and need a helping hand with expenses, apply to have your dream wedding. 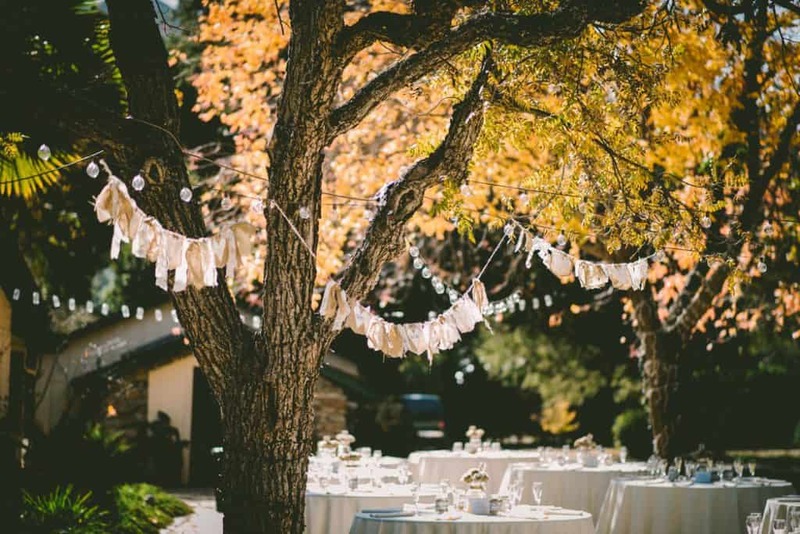 If you’re looking for tips to create your wedding dream on a budget, Nifty has you covered. Just have a read of our wedding dream blog post. Alternatively, find out how reality TV dating shows have changed Australian’s perspective of marriage. Want more of Nifty Loans? Great! Follow us on Facebook, Instagram, Twitter and Google + and also keep up to date with the latest personal finance and latest events via our blog. Wedding Loans Overall rating: 4.6 out of 5 based on 232 reviews.